We’ve been away – did I mention that? We left behind narrow lanes, made even narrower by rampant growth over-flowing what small verge there was. When we came back, we found that this state of affairs had forced itself upon the man with the mower, raising in him a righteous indignation – leading, inevitably, to feverish activity. It was as if we had returned to a new country. Old friends, many of whom we had known since they were seedlings, were gone. Obliterated by this overpowering need for tidiness. In his defence, I must add that we did enjoy the improved visibility, and the newly mown strip gave us access to the denizens of the second rank. Those, previously too shy to push to the front, who, now found themselves in a leadership role. Then, within a few days, revelling in the newly accessible sunlight, many of those we thought lost and gone, started to reappear – but with a subtle difference. 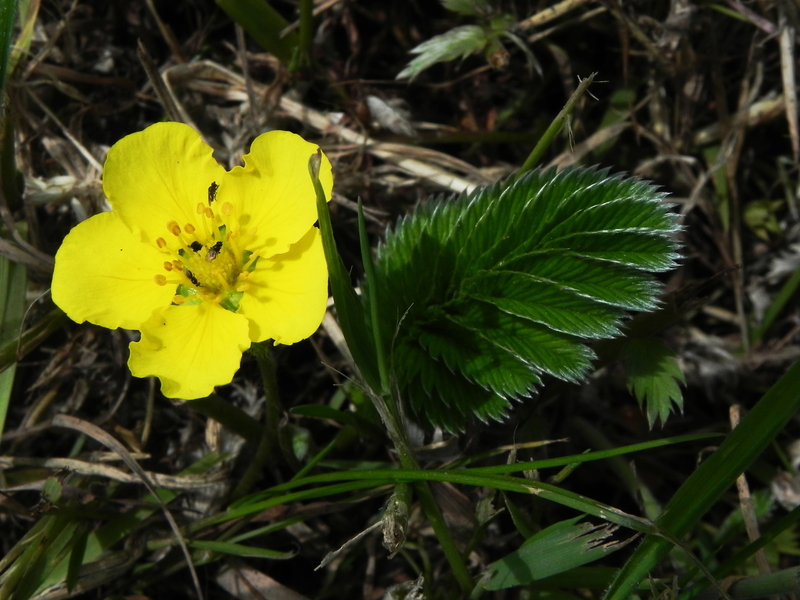 Take the Silverweed, for instance. Those we left behind, wore their silver coats with pride – dare we suggest, arrogance? This new generation is more community aware, and has bowed to peer pressure. The silver sheen is still there – but muted. The leaves are now a more, socially acceptable, green.